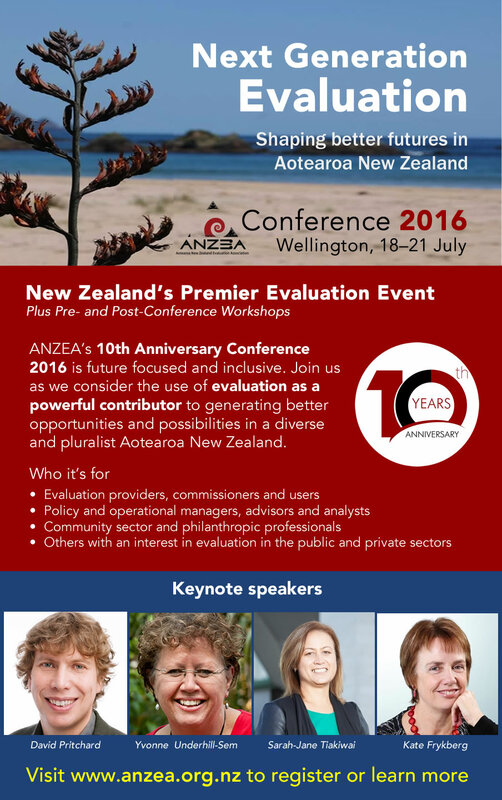 ANZEA’s 10th Anniversary Conference 2016 is future focused and inclusive, with the theme Next generation evaluation: Shaping better futures in Aotearoa New Zealand. Join us as they consider the use of evaluation as a powerful contributor to generating better opportunities and possibilities in a diverse and pluralist Aotearoa New Zealand. The convergence of evaluation and impact measurement by overseas speaker David Pritchard.